Your Network: Are You Connecting, or Collecting? Yes, I am a networking and social media zealot. You name it, I’m doing it, or it’s on my list of things to do. I estimate that through LinkedIn, Twitter, and the SDBN, my personal social media reach is around 5,000, meaning that I can apprise that many biotechnology professionals of a relevant message quickly. While this network is very valuable to me, and the number is obviously significant, we all need to keep in mind that our networks are made of real people that we should connect with, not items that we should simply collect, assigning too much significance to the numbers. Your network is made of people who are likely doing interesting things every day, why not connect with them as often as possible? You never know when a new opportunity will result for both of you. In addition, you’ll stay on top of what is happening in your industry, which benefits you in many ways. While it’s true that your knowledge will be directly proportional to the size of your network, the quality of your contacts should be foremost. Building a relevant, quality network will help you to stay connected, as you’ll find that you have more common interests and opportunities for growth. How do you build a quality network? There are shortcuts, which I discussed in an earlier post, which may result in a large network, but it will likely not be of high quality. Always be on the lookout for those with common interests and interesting things to say. In addition, consistently provide value to your network, and you’ll attract and keep even people you don’t know well in your extended network. Examples? Post interesting, non self-serving news to LinkedIn. Help out someone who needs an introduction to someone else in your network. In short, pay it forward, as we talked about in our Social Media for Scientists presentation to the SDBN. 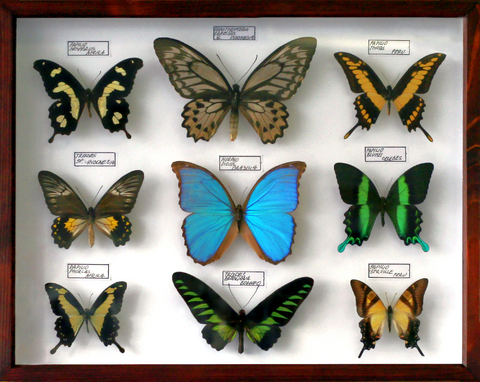 As an analogy, view your network as butterfly garden rather than a butterfly collection. Treat your network as a garden in which you must attract people, keep them engaged, and enjoy, not as a box of pinned, lifeless items which you pull out and admire. Connect, don’t just collect! Lastly, and perhaps most importantly, you’ll find that the ‘good karma’ you’ll get from connecting will pay you back for your time. Do whatever you have time for–even if it’s just sending a few emails a week. You’ll find that spending time in your ‘garden’ will be beneficial in many ways. Need help with social media and networking? Check out our Biotechnology Marketing 101 blog series and/or contact Comprendia, we can help you with coaching and strategies that will help you to maximize your efforts and reach your personal or business goals. This is so well said. In all the years I’ve been networking, I know with certainty this is a message that bears repeating, over and over and over. Thanks for setting the stage to maintain the integrity and value of social networking in the life sciences. Take good care. Thank you for your blog! I just read your Goofus or Gallant. As a newbie to networking on linkedin I have learned a lot through your post. I hope to learn much from you future posts!